Imagine that there’s a website where you can hire musicians of all skill levels, from amateur garage bands to legendary rock stars and classical virtuosos. You’re putting on an event, and you need to hire an amazing performer. Someone who’s all-but-guaranteed to make your event a success. Let’s say you wanted to hire the next Bob Dylan. What kind of posting would you write? You wouldn’t write that, because anybody you’d actually want to hire would never read it. The next Bob Dylan doesn’t think of himself as part-time musical help. The same principle applies to hiring customer service employees. Customer service rock stars will pass over postings titled “Seeking customer support representative,” because they know that that’s where everyone else is applying. If you want the best — and I’ll explain why you do in a moment — you need to write job descriptions that stand out and speak their language. 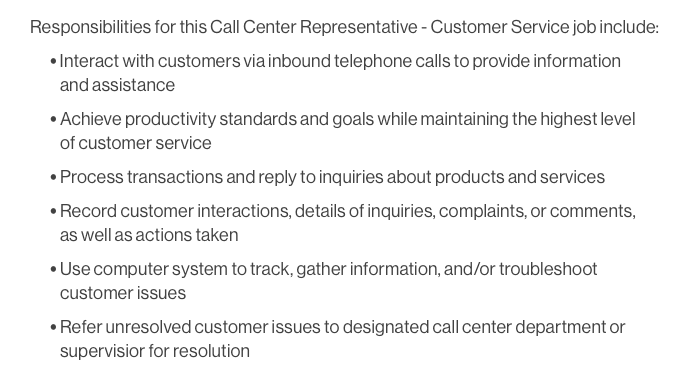 What Is the Actual Customer Service Specialist Job Description? Customer service specialists are the first line of communication between your company and your customers. When customers have a question about the product/service, they reach out to the support department for a solution. Your representatives should have all the knowledge and training to deliver a positive experience for customers. A 10x developer is said to be far more efficient and effective than your average coder. These companies know that the return-on-investment of a top developer makes it worth looking for the best. Because many businesses look at customer service as a cost, without considering that doing so puts our businesses at risk. Global companies spend the equivalent of 2% of their marketing budget on actively maintaining relationships with existing customers, while 86% of us have stopped working with a company due to bad customer service – it suddenly all seems to add up. Excellent customer service makes an impact on whether customers buy or not: a McKinsey study found that 70% of buying decisions are made based on how a customer feels the business treats them. Excellent customer service reduces churn: 81% of customers are more likely to do repeat business with a company after a good customer service experience. On the other hand, 95% of customers have taken action (e.g. abandoned a business or complained about it to others) because of a negative customer experience. Excellent customer service increases revenue: a 2011 survey by American Express found that 70% of Americans are willing to spend an average of 13% more with companies they believe provide excellent customer service. Excellent customer service has a multiplier effect on user acquisition: the same American Express survey that found that happy customers would be willing to spend more money also found that a happy customer, on average, tells nine people about their experience. To deliver excellent customer service — and reap the business benefits — you need to hire excellent customer service employees. If you want commodity customer service agents — that is, warm bodies that will answer questions and not much more — then write a commodity customer service job posting. But if you want to attract the best customer service employees — the kind who can help you reduce churn, increase retention and move the needle on other important business metrics — you need to write great customer service job descriptions. Notice how at Groove, we look for customer success experts, rather than customer service representatives? And how we list the tasks that the right candidate will accomplish, rather than do? The words you use to describe a customer service position are incredibly important. By making it clear that you’re looking for top performers, you stand out among the crowd of businesses looking to hire “reps.” To top-performing employees who care about being challenged and successful, that differentiation matters. Your culture comes through in everything you do, from your product to your marketing to your customer support. There’s a good chance, especially if you’re a smaller business, that your culture is a big reason that your customers are choosing to do business with you. That’s why it’s so important to preserve and maintain that culture, and to make sure that it comes through clearly in your job postings. We like to include links to our blogs — where we share a lot about our culture — to ensure that applicants have a great understanding of how we work and live. Whatever your culture and values are, it’s important to make sure that they come across in your job posting. No, this strategy is not as nefarious as it might sound, and the goal is not to get “free work” from your applicants. First, it weeds out the “résumé blasters” who apply to any and every job posting without concern for whether or not they (or the job) are the right fit. Second, it gives us great insight into their customer service skills, more so than any resume or cover letter ever could. 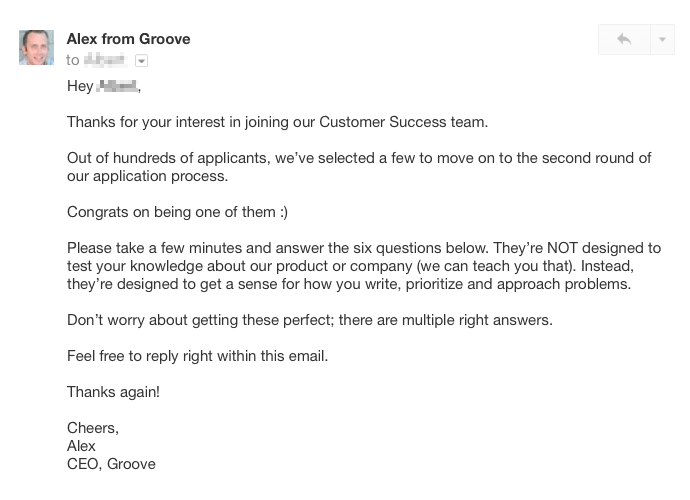 Imagine a potential customer emails you with the following question: “I’m considering a switch to Groove, but I was wondering if your software lets me create custom statuses for tickets?” Groove doesn’t offer this feature yet, but their current help desk does. How would you respond? Imagine that you’re just starting your workday, and you log in to Groove to see 30+ emails from distraught customers who can’t access their accounts. Clearly, something big (e.g., a server outage) is happening. What steps do you take? We’d like to get an idea of how you can clearly explain concepts and processes to customers. Tell us, step-by-step, about something that you shop for online, and how you go about searching, choosing and purchasing it. Candidates who are serious about working with you will answer every single question. 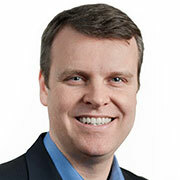 …starts with writing awesome customer service job descriptions. 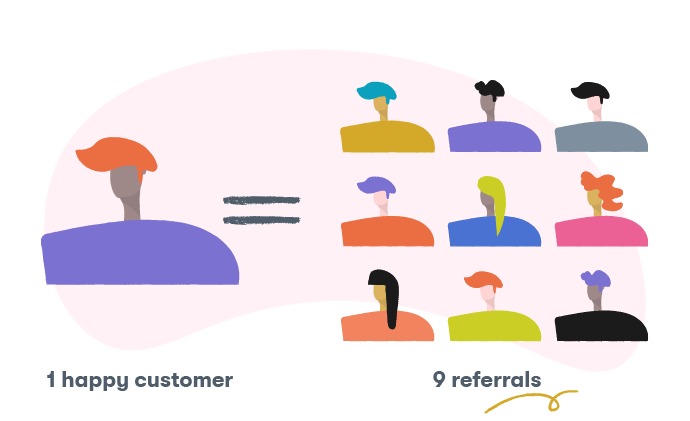 Use these tips to weed out average applicants, and attract top talent who will help your customers — and your business — succeed.